Amko Foods process, pack & deliver a range of fats including Pure Free Range Goose Fat, and Traditional Beef Dripping, and Pork Dripping with Jelly. 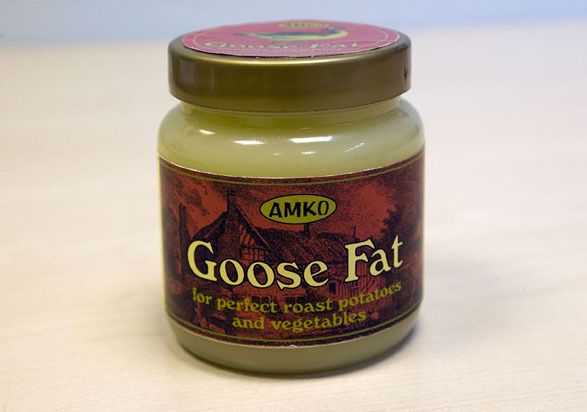 Goose Fat adds a superb taste to roast potatoes and roast vegetables, and gives fried bread a taste to die for! Pork Dripping with a savoury pork jelly – Tasty on toast.